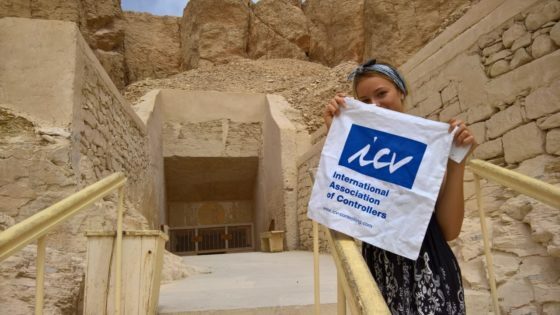 Inspired by wonderful early-summer-days, our PR-team-member and member of ICV Expert Group “Communication Controlling”, Rainer Pollmann, went to The Valley of the Kings, located in good old Egypt. There he showed, supported by his daughter, our ICV-flag in the form of our legendary ICV-bag. We like!